While Mr C and I were busy travelling in Europe I briefly saw a Groupon voucher for Tommys Beer Cafe, having recently been eating so much delicious German food (just left Munich at the time) I knew I would be craving for more of this cuisine when I returned to Sydney. Mr C agreed with me so we decided to buy the voucher for an Oktoberfest platter when we were back at home. 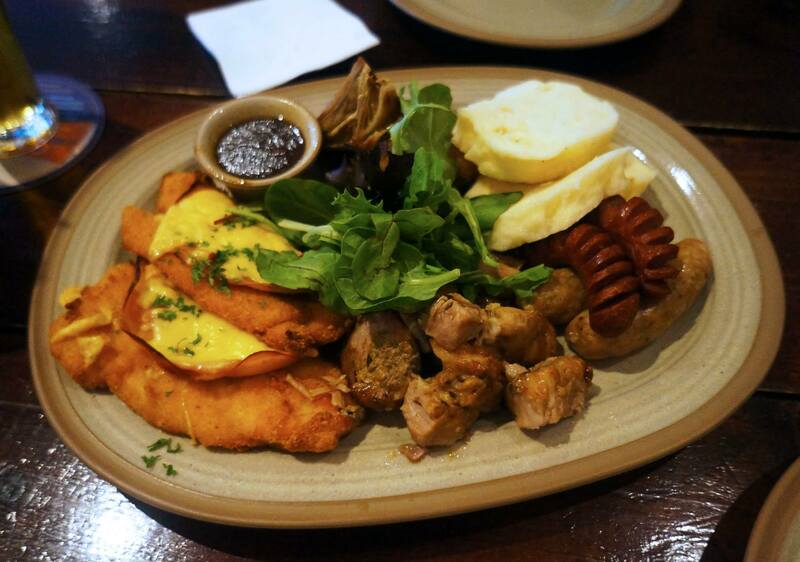 It was definitely a great deal, $29 for a large platter (above) of various German/Czech food that we shared together. I was a little worried that it wouldn’t feed us both but we knew it would the moment we saw the size of the dishes. There was a good mix of chicken schnitzels, pork belly, sausages, schnitzels and the infamous bread dumplings that we loved so much in Prague and Munich! My favourite had to be the schnitzel even though I’m a pork belly lover, simply because it had a thin crispy coating and was superb with the sauces which it came with. I almost feel like I’m quite like Manu Feildel from My Kitchen Rules who’s also crazy about their sauces. Along with the massive platter of food we were also given three small bowls of sides which were much more filling than they look. 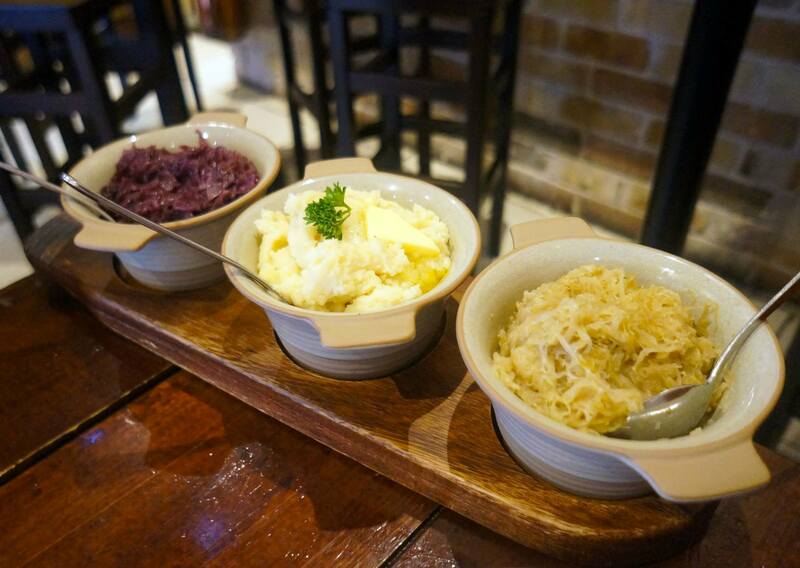 We had blaukraut ( braised red cabbage), mash potato and a heap of classic sauerkraut. In the end we actually didn’t manage to finish these off completely because they were so filling, the bowls look deceivingly small but the sides are really quite filling. And how can you not order beer when the menu consists of so much awesome German and Czech beer? Mr C and I have become such fanatic beer lovers since Europe and when we realised they had such a great selection we each decided on a small bit of beer each which was awesome just as we expected. I believe we Gambrinus Pilsner and Pilsner Urquell which are both awesome Czech beers we first had in Prague. 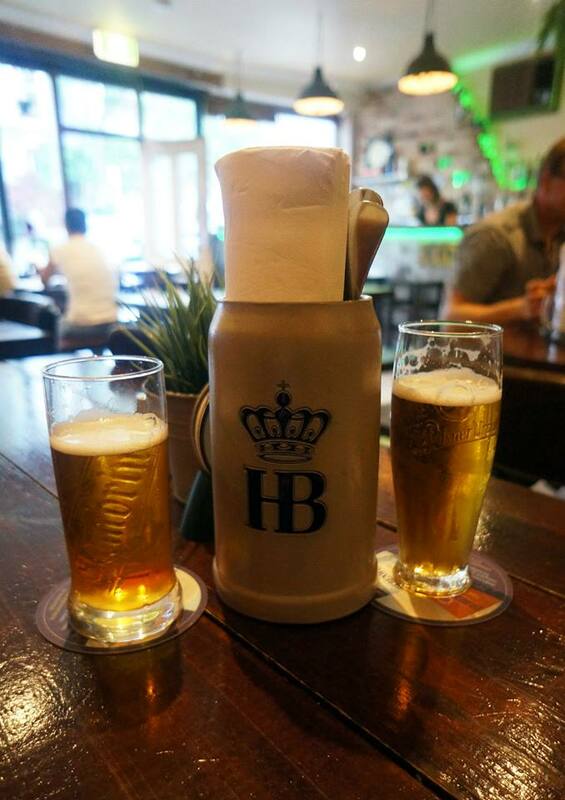 Despite not being the most polished German/Czech restaurant available in Sydney, they have really good serving sizes and filling food for decent prices. I would come back simply because of the huge amount of servings and because the atmosphere and service was good. Honestly I dont take alcoholic drinks… Hope foods served at Tommy Beer Cafe are great. that is an amazing looking platter! worth every calorie in my books!